March 23, 2006, should have been a day the streets of Livingston were lined with citizens paying long, overdue tribute and honor, as well as saying goodbye, to a former resident who overcame tremendous odds in the early years of his life to go on and become a person of great achievements. Those family members and friends who knew him were not surprised at what this man did with his life, but I must admit I had no idea Overton County was the home of such an outstanding person. So it was that on the day he was laid to rest, there was no front page headlines telling of his passing, nor was there an extraordinary turn out when his was laid to rest. But there should have been. Only close family members and friends paid homage to this quiet and humble man who died at the relatively young age of 68 years. Unless you were a family member or a close friend, more than likely, you are like myself, the name Duvone Dale was one that you had never heard before. Here is Duvone's remarkable story, and as you will discover, it is about someone with exceptional abilities. However, the sad part of his story is that his achievements have never been recognized as they needed to be by the community and county he called home. Duvone Dale attended grade school in a four room school at Allons. This picture, provided by the Dale family, was made in the early 1950s. On May 13, 1937, the oldest son of the William Zina Dale and wife Mary Arlena Mullins Dale family of five children was born. The children in the order of their births are: Duvone, Barbara, Dennis, Donald, and Ova. 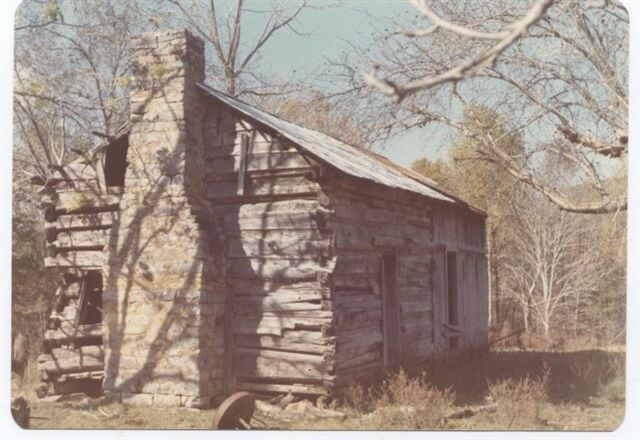 The Dale home was located in Hilham, but later the family moved to property near the mouth of Flatt Creek. Zina Dale, as he was known, was a blacksmith and farmer, along with being a hard worker and a good provider for his family. But sadly, he passed away when Duvone was only nine years old, and Ova, the youngest, was only three. The days that followed the passing of Mr. Dale were as hard as any family left in that situation could have known. There were many times Mary Dale and her five children were hungry. In order to survive, Mrs. Dale was forced to sell off all the livestock, other than one cow and the chickens they had. The year Zina Dale died, his children picked enough blackberries to fill 100 half gallon jars. They had no sugar to use for the canning of the blackberries, and had it not been for those 100 half gallon jars of unsweetened fruit, along with cornbread, the first winter following Mr. Dale's death, that family might not have survived. The corn meal used for the making of their cornbread came from corn they grew and took to the mill for grinding. Barbara recalled one particular day after the death of their father when it was decided they would kill a hog, something the children knew hardly anything about. Duvone, being the oldest, was the one who shot the hog. Next came the task of loading the hog onto the sled to take it down to the creek for the rest of the cleaning process. Kettles for washing clothes were kept on the bank of the creek, and after the children somehow wrestled the large animal onto the sled to be pulled by a mule, they finally got the hog moved to the creek. A fire was built under the kettles, but how to do the next step, which was hanging the hog in order to gut it, was a job that turned out to be impossible for the children to accomplish. After trying several times, Duvone gave up and went to ask an uncle for help. Around six acres of the Dale property was used to grow corn every year. They raised a big garden, and every fall, picked apples and pears to be placed underneath their beds to help carry them through the winter months. Every canning jar the Dale family owned was filled every year. Their diet would often include wild salad, wild strawberries, winter creasey, and traps were often set out for rabbits. The traps would be checked before breakfast in the hopes of having something good to eat to start the day. Barbara remembers a time when they were especially hungry, and only had one bullet for the gun. Duvone took the gun to go hunt for a squirrel, and after spotting one, he raised the gun and fired. But sadly, his aim was off, and their only bullet was wasted. The Dale children walked to a four room school in Allons, some three miles from their home. Probably a mile of the road they traveled to school was a very steep hill they had to climb each day. Attending school was not always a pleasant experience for the Dale children. They were often picked on by the other children, and were treated that way in part because Duvone had a speech impediment. Duvone once told Willie Hugh Bilbrey he would never forget what good friends both he and George Seber had been to him when they were all growing up together. Willie Hugh and George both looked out for Duvone during their grade school days at Allons. Hugh Ogletree, Sr., served as principal and teacher at the four room school at Allons, and he is probably the first person to discover the fact that Duvone was not an ordinary student, but was someone whose abilities far exceeded the normal. Mr. Ogletree purchased the first set of encyclopedias for the school, and even though that set of books was supposed to remain at the school, at the request of Duvone, Mr. Ogletree allowed him to take one book at a time home with him to read at night. Barbara remembers how Duvone would take the only oil lamp upstairs with him after supper where he would sometimes spend the entire night reading one of those encyclopedias. He began with the "A" volume and continued reading until he completed the entire set of encyclopedias. Duvone read anything he could get his hands on while growing up, and among his favorites was Lone Ranger comic books. It was because of his love of the Lone Ranger that he taught one of the mules he plowed the corn fields and the garden spot with to begin plowing with the words "Hi ho Silver, Away!" But using this term just about got him in serious trouble one day. He was in the process of getting the mule all rigged up to begin plowing when someone visiting at the Dale home called out that very phrase without knowing what it meant to the mule. Needless to say the mule took off, and on about the fifth time around the house, Duvone was finally able to get the mule under control again. Barbara told me she was really scared that Duvone would be drug down and killed before he got the mule stopped. The family since then has enjoyed many good laughs over "Hi ho Silver, Away!" After completing grade school, Duvone went on to high school at Livingston Academy. The year was 1954. It didn't take long for James Bilyeu, science teacher at the high school, to discover the potential that lay hidden just beneath the surface of this quiet young man, and with the help of Mr. Bilyeu, Duvone completed high school in only two years. He graduated from Livingston Academy in 1956. Duvone enrolled at Tennessee Tech, and because of his exceptional intelligence, he graduated from Tech in just three years. His degree was a B.S. in Physics. The Dale family contributed to Duvone's education anyway they could, and one of the ways they helped pay for college costs was raising and selling strawberries. Duvone also worked as many part time jobs as he could while attending college. In 1960, he began a career with the NASA at the Marshall Space Flight Center in Huntsville, Alabama, also known as Redstone Arsenal. Redstone Arsenal is described as a primary rocket and missile research and development center for the Army. 20,000 people work within Redstone's 38,248 secured areas. It is also a primary location for the U.S. Army Space and Strategic Defense Command where full-scale tests of rockets are performed by the Army at numerous locations. During the years he worked with NASA, Duvone completed 9 semester hours in mathematics at the University of Alabama, 21 semester hours in computer science at Alabama A & M University in Normal, Alabama, and he also completed several computer courses offered to NASA employees at the Marshall Space Flight Center. His work with the NASA program involved everything from analysis of data to rocket communication experiments, along with computer support to engineers designing the tracking and telemetry systems for the Saturn launch vehicles. 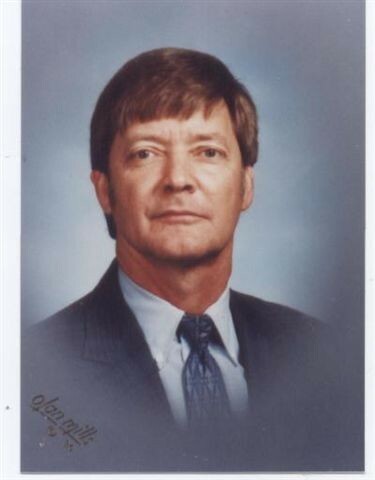 He also served as a research, development, and systems engineer in performing studies related to tracking and data systems for space vehicles. "Apollo Achievement Award to Duvone Dale. In appreciation of dedicated service to the nation as a member of the team which has advanced the nations' capabilities in aeronautics and space and demonstrated them in many outstanding accomplishments culminating in Apollo II's successful achievement of man's first landing on the moon, July 20, 1969." This certificate was signed by the Administrator of NASA. I can remember very vividly watching man's first step on the moon on July 20, 1969, but I was like the vast majority of everyone in Overton County, I'm sure, I had no idea that this great event took place in part because of the outstanding ability of Duvone Dale. Another certificate he received was presented to him for "faithful service and for your contribution to the successful launch of the first Saturn V." It is dated November 9, 1967. Duvone's accomplishments in life are indeed remarkable considering his humble beginnings. But probably his assuming the father role and provider for his family as a mere child of only nine years old should be placed near the top of the list along with his other outstanding achievements. Had it not been for his taking on that role, who knows what might have happened to his mother, brothers, and sisters. Duvone's final resting place was in the Dale Cemetery in Hilham, a place that isn't too far from the location of the home where he was born. He came full circle it seems, and what he's accomplished shouldn't go unnoticed any longer. It is certainly time Duvone received the recognition he very much deserves. Maybe we need a new sign near the city limits of Livingston with this information on it: "Welcome to Livingston - Home of Great Achievers - Astronaut Mike McCulley; Project Manager of the Hubble Space Telescope Jimmy Carlock; Teacher and Coach Sam Brooks; and NASA Scientist Duvone Dale." According to neighbors of the Dale family, Duvone Dale was a prodigy, someone with an exceptional mind, from the beginning. He had a phenomenal memory according to reports. He could remember incidents that happened when he was nine months old, and later told about them. He amused family and neighbors with the names he gave common everyday objects such as bread or drinks, or things that an infant might attach a name to. The names were certainly not English words and no one knew at the time where he came up with them. Years later when he studied the Spanish language in school, he recognized the words he had attached to bread and milk etc. even though he had never heard a Spanish word at home. This puzzled him until he learned of the psychological phenomenon called collective unconsciousness, and then he realized he had inherited some knowledge of the Spanish language from some ancestor of long ago. Duvone spent the first nine years of his life at home developing into an independent thinker with strong feelings about human rights and the value of individual dignity. He didn't choose to go to school, and as is so often true of children of superior intelligence, and he got by with it until the long arm of the attendance officer forced him to enter school at Allons. It was a case of taking a horse to water, but not being able to make the horse drink. He would march defiantly up to Allons school, plunk down his lunch bucket outside the school building, sit down on the lunch bucket, and sit there almost motionless until time to go home. He would then pick up his bucket and march home. This went on until along in late October when the weather got cold and wet. It was with the change in weather that he began to creep inside the door to the classroom and stand there all day. Fortunately, the teacher he was assigned to was wise enough to allow him to develop at his own discretion. Mrs. Claude Davis said of all the students she had known during her long career of teaching, Duvone and a boy named Charles Hubert Sullivan were the most intelligent. She said Duvone began to be interested in what the other students were saying when they did their recitations. It was then he began correcting them when they made mistakes at the blackboard. Mrs. Davis allowed him to take his time assimilating into the school work. She said after he did become interested, he enjoyed school work immensely. She also said Duvone digressed when bullies among the students targeted him, terrorizing him by threatening to drop him in the country style school toilet. Duvone's life long friend, Willie Hugh Bilbrey, was a bigger boy and took on the responsibility of looking out for Duvone. Mr. Hugh Ogletree was school principal and took an active part in Duvone's development. 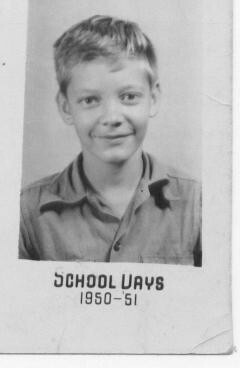 He would sign out one volume of the school's encyclopedias each weekend and let Duvone take it home with him. Duvone would memorize the volume and bring it back on the next Monday morning. When Duvone started high school, he had finished a large portion of his freshman year when an outstanding Overton County teacher, Mr. James Bilyeu, discovered his brilliance. During the rest of the freshman and sophomore years, he gave Duvone all the courses required to graduate from high school in two years. Duvone entered Tennessee Tech and majored in physics. He took all the part time jobs he could get to make enough money to get by on. He worked in the school cafeteria and the Tech library. "Duvone and I were poor and hungry together at Tennessee Tech. I have seen Duvone look at the prices on the cafeteria menu, run his hand in his pocket and pull out his money, count it, compare it to the prices, shrug, put his money back in his pocket and walk away. I guess I wasmthe only one poor enough to know what he was thinking. It must have been torture working around food in the cafeteria and not being able to eat. Duvone believed in the Biblical principle, "Muzzle not the ox that treadeth out the corn." He told me he thought the workers in the cafeteria should be able to eat some of the food they prepared without having to go through the pay line. This suggestion was not approved by the management of the cafeteria, so Duvone, with his independent thinking and his belief in human dignity, proceeded to organize a strike of the cafeteria workers. Needless to say, Duvone lost his part time job in the cafeteria. Mr. C.P. Snellgrove gave Duvone as many hours work in the library as he could. So Duvone survived. The part time jobs at that time paid 50 cents per hour. Prices of everything else were low back then, but it was still a tight squeeze to get by. Duvone took difficult courses like calculus and organic chemistry as electives. He consistently made high grades. One day I saw him during a 15 minute break between classes. We talked for about five minutes then he remembered he had a paper due in the next class. He used the remaining ten minutes to scribble a paper. Sometime later I asked him what grade he got on the paper. He answered, "An A." And I thought to myself, what else? Duvone graduated from Tennessee Tech in three years and took a job with NASA. Apparently he did well at NASA during the exciting years of the space race. He played an important role in the moon shot. As I understand it, during the flight Dr. Werner Von Braun, a noted German scientist NASA sought out and employed, was not present when an important decision had to be made. Duvone made the decision which involved flipping the space ship in order for the flight to succeed. Reportedly, Von Braun reacted violently when he learned a decision had been made without his say so. A confrontation took place between him and Duvone. Duvone, the boy from the head of Flatt Creek, withstood the world class scientist. At any rate, the mission was a success and Von Braun gave Duvone an award for his part in the operation. The grateful astronauts sent letters of appreciation to Duvone. Could it be they owed their lives to him for his action in the operation? Reportedly, scientists at NASA asked Duvone how he knew he needed to flip the ship. His reply was "because he studied it." He said he had studied the heavens since he was a little boy. One amazing thing about Duvone was how little his experiences at NASA changed him. He never tried to impress anyone. While he worked at NASA, he used his salary to buy houses and farms in and around Huntsville. During the time he was rubbing elbows with world class scientists on the job, he grew crops on his Alabama farms. It's hard to believe he needed the income from farming. I rather suspect the farming was a retreat to nostalgia that helped him keep his equilibrium in a topseyturvie world. I once pressed Duvone to get me a list of his accomplishments from NASA and he said he would, but he never got around to it. He was reluctant to talk about his feats. He once mentioned being involved with setting up the Noah weather system, and had something to do with the frequencies for the public television stations. Not long ago, scientists approached Duvone regarding the worm hole theory which he was somewhat familiar with. He hadn't decided whether he would work with them the last I knew." "Family relatives were important to Duvone. He was proud of the fact he was related to most people in Overton County, many in Clay County, and Pickett County. He was always delighted to find another cousin. He had traced the Dale and Mullins families far back in time. The Mullins family here is the same Mullins family that helped form the Mayflower Compact. He traced the Dale family back to Rumania where the name is pronounced Thale. He learned that the family occupation was coin making. They made a coin called a Thalier. The family migrated to Spain where they sojourned for several generations, and continued with coin making. The name "Thale" was pronounced "Dale" in Spain, so the coins they made were called "Dalliers" which eventually became the Spaines’ dollar. The now Dale family migrated to what we call the British Isles around a thousand years ago. The Dales were early settlers in the new world. When the United States was eventually established, we adopted the dollar as our medium of exchange. When Duvone learned that his ancestors sojourned in Spain before they came to England, he knew why he used Spanish words when he was learning to talk. Duvone was greatly troubled by the specter of global warming and other threats to the environment. The last time I talked to him, he said he feared we had gone past the point of no return in our careless and senseless destruction of our planet. Thank you, Mr. Hunter, for allowing me to share your story. Recognition of Duvone’s accomplishments should be suggested to county officials or civic organizations in order that a very distinguished man be honored by his home town and county. I think it would be more than fitting. Photo courtsey of the Dale family.